Clear quartz, the master healing stone. If you have no other crystal or gemstone, at least have some clear quartz. Clear quartz raises the vibration and can be substituted for any other stone in any working. Clear quartz is an amplifier and magnifies the properties of any stone it is paired with. 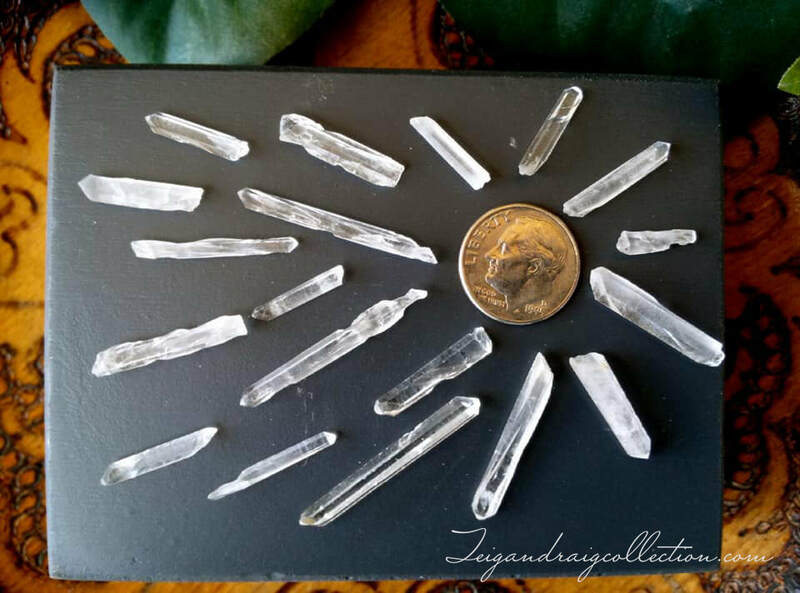 Clear quartz never needs charged and transmutates negative energy into positive energy. 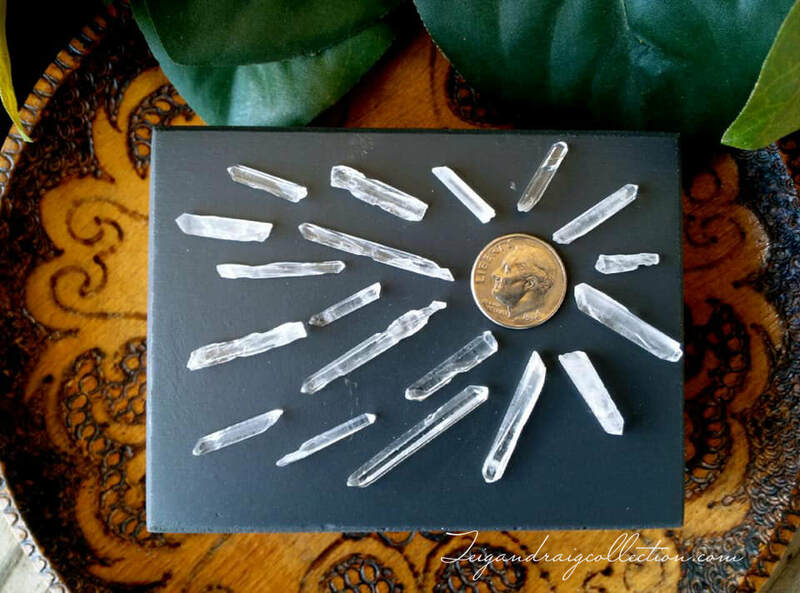 These clear quartz needle points are excellent for use in crystal grids, jewelry making, and many other craft projects. They measure between 0.50 inch to 1 inch long. Some are terminated and would be useful in decorating wands and smudge fans. The possibilities are endless! Comes in white drawstring organza pouch.